Asia. 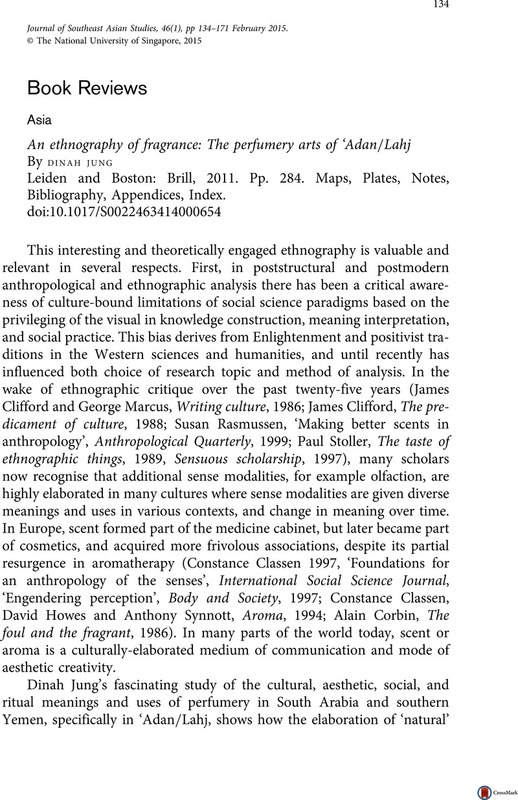 An ethnography of fragrance: The perfumery arts of ‘Adan/Lahj By Dinah Jung Leiden and Boston: Brill, 2011. Pp. 284. Maps, Plates, Notes, Bibliography, Appendices, Index.